Viknesh Vijayenthiran April 19, 2015 Comment Now! The Ford Motor Company [NYSE:F] has pulled the covers off its all-new Taurus ahead of the car’s official world debut tomorrow at the 2015 Shanghai Auto Show. 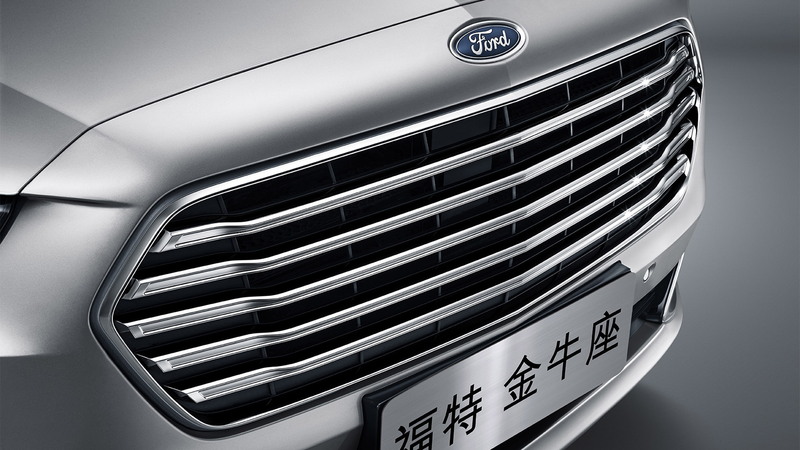 This is the classic nameplate’s first appearance in China, a market where comfy, large sedans like the Taurus are still popular, and the version being shown in Shanghai has been developed with a focus on the Chinese market. Versions of the new Taurus in the U.S. market are yet to be confirmed. In developing the car, engineers sought to address one of the biggest issues plaguing the current model: a cramped cabin. The cabin in the new Taurus takes full advantage of the vehicle’s 197-inch length and 116-in wheelbase for generous second-row leg, shoulder and hip room. A number of specific measures were also taken to ensure no space was wasted. For example, the sunroof slides back over the rear panel rather than under it, ensuring maximum rear headroom. 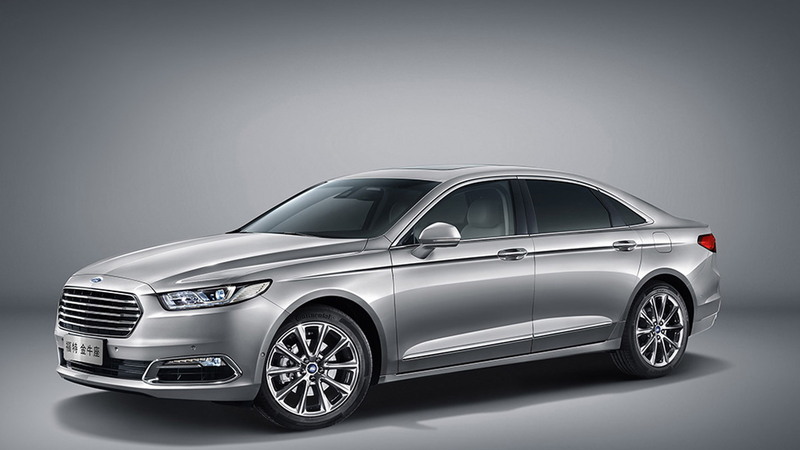 And as the new Taurus will be aimed primarily at China’s chauffeur driven executives, Ford is even offering power-reclining rear seats on the car. These come with an available adjustable lumbar support feature as well as a massage function. Folding down the center seat cushion reveals a rear-seat control panel for air conditioning, seat functions and car media. Folding it up allows the vehicle to comfortably accommodate three rear passengers. Don’t expect these features to be offered on the U.S.-spec car. Premium elements can be found on the outside, too. 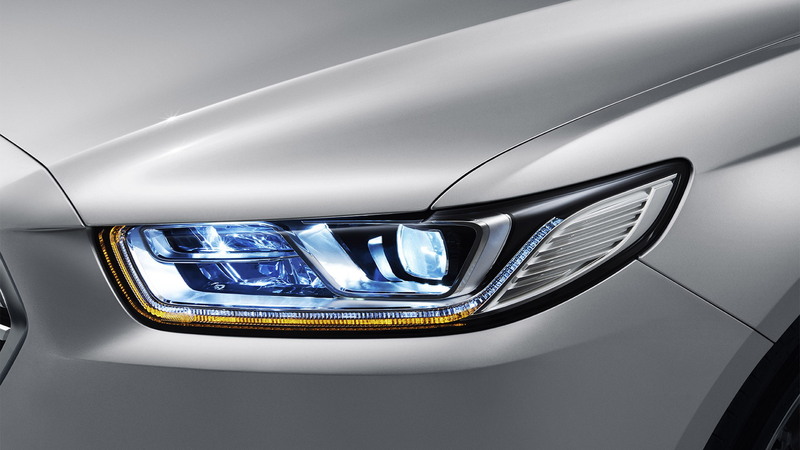 LEDs are used for both the head and tail-lights. 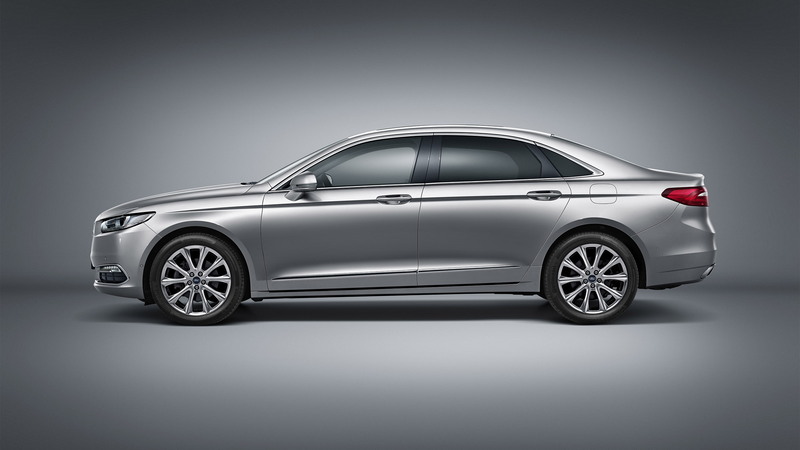 Furthermore, in silhouette, a powerful hood profile and planted architecture give the Taurus a premium car-like stance, and adding to this are the polished 19-inch alloys and integrated chrome exhaust tips. The platform underpinning the new Taurus is a stretched version of the Blue Oval’s CD4 design, found in a variety of existing models such as the Fusion as well as the Edge crossover and Lincoln MKZ. The stretched version of the CD4 platform will be common to the 2017 Lincoln Continental, previewed earlier this month in concept form at the 2015 New York Auto Show. Only one engine has been announced so far, a twin-turbocharged 2.7-liter V-6. Expect front-wheel drive to be standard and all-wheel drive to be an option. 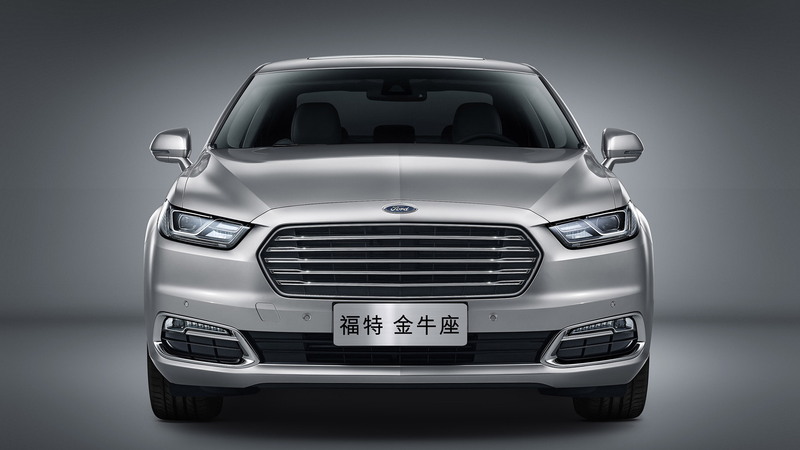 Production of the Taurus for the Chinese market will take place at a new plant in Hangzhou, established by Ford and its state-owned Chinese partner Changan. It’s now the sixth plant building Fords in the country. To see what else is debuting at the Shanghai Auto Show, head to our dedicated hub.